Build a School in Africa does not have any paid staff–we are 100% volunteer-run. Here are the folks behind our operations. Judy’s interest in Africa began in 1991 with classes in traditional West African Dance. In 1996, she took her first trip to Mali, a cultural tour with Malian dance teacher Seydou Coulibaly, fell in love with the country, and began making annual trips, bringing school supplies to a small local school. This inspired high school senior Kyla McKenna to raise money to help build a school to fulfill her Senior Humanities Project, with Judy as the project mentor, and Build a School in Africa was founded in 2002. 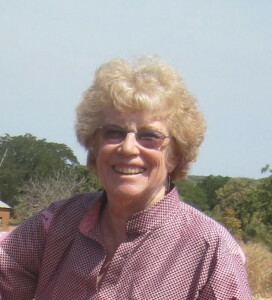 Building a school in the capitol city of Bamako proved to be too expensive, but fund-raising continued, and when Judy retired from teaching in 2004, she spent a month as a volunteer for Save the Children in the rural Kolondieba District of southern Mali. Impressed with Save the Children’s school construction programs, she offered a $10,000 donation from Build a School in Africa to help build a school. The first school, a middle school in the village of Dialakoroba, was built in late 2005. Every year the project has gathered momentum, and plans for the 17th school are now under way, with 2 schools a year being built since 2013. The first 7 schools were built in an informal partnership with Save the Children, with Build a School in Africa contributing $10,000 to $15,000 toward each school, about 1/3 to 1/2 of the total cost. Judy worked with Save the Children administrators Abou Coulibaly and Madou Traore from 2005 to 2010. In 2010, Save the Children changed the focus from school construction to teacher training, and both Abou and Madou resigned. Since they already had an excellent working relationship, Judy teamed up with Abou and Madou, and they have built 9 more schools since then, with a 10th now in the planning stages. Judy organizes and coordinates the fund-raising, and visits the school projects (at her own expense) for 3 to 4 weeks nearly every year, and also volunteers at a neighborhood nursery school in Sikasso. Aboubacar Coulibaly, or Abou, as he usually known, is a Malian citizen with 18 years of experience in development work. His career started at the Peace Corps as language teacher and cultural guide, helping American volunteers to integrate into Malian communities. 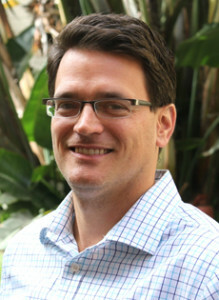 In December 1999 he joined Save the Children as the Field Manager at the Sponsorship Department in Bamako. He later moved on to the position of Coordinator of the sponsorship funded programs in Kolondieba. Abou and Judy met in 2002, during her visit to her sponsored child at Dialakoroba, in the south of Mali. Three years later, BSA’s first school was established through a partnership between Build a School in Africa and Save the Children. After 12 years of intensive work building schools and promoting girls’ education, Abou left Save the Children to join Plan International as the World Bank Grant Coordinator in Early Childhood Education. Even at Plan he continued to support the work of Build a School in Africa by briefing and mobilizing communities around the school projects, and encouraging education authorities to show ownership. In 2012, Abou moved on as the Program Manager at Right to Play, where he stayed for three years before joining Oxfam as the Associate Country Director for Novib, the Netherlands branch of Oxfam in Mali. Along with Madou Traore, Abou is still working to promote Build a School in Africa school projects in Mali. Mamadou Traore is a teacher with nearly 20 years experience in community development work. Madou’s career started in 1991 at Plan International in the sponsorship department as clerk. He left this organization in April 1997 as the head of the sponsorship department. From October 1997 to October 1999 Madou taught English in the Kinderdorf “village SOS” in Sanankoroba. He joined Save the Children in November 1999 as a Sponsorship Data Analyst. 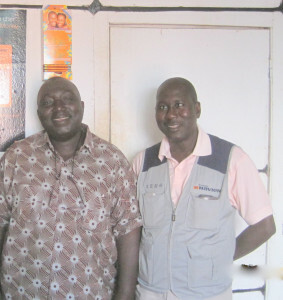 As a coordinator of the sponsorship operations, Madou and his team developed positive strategies to make sure sponsors were pleased with the communication with sponsored children and SAve the Children’s field programs. Madou left Save the Children in 2010. Since then Madou has been dealing with his own business, and working with Build a School in Africa. He is currently a consultant at Plan International in Mali. The project sounded great, so I asked her for the organization’s website address. When she replied, “we don’t have one,” I immediately offered to make one. It’s been gratifying to see how many people have discovered this wonderful organization over the years as a result of the website, and have helped to build schools in deserving communities. In 2012, I visited Mali and Abou drove me out to visit a couple of the schools we’ve built, and one of the sites of a future school. I saw how everyone in the community really appreciates the new school buildings, from the parents and students to the teachers and principals. Matthew is also the founder of the Dokotoro Project, a nonprofit working to translate community health information into the Bambara language for use in Mali and neighboring countries.